As a new Spartan myself, I want to welcome all prospective students and parents to this dynamic community of Immaculata High School. Although I have only been here a short time, I have been so impressed by the energy, tradition, and spirit of this school. I invite you to see for yourself what makes Immaculata so impressive. To the current students, parents, alumni, alumni parents, faculty and staff, let me say thank you. You have eased my transition into the newly created position of Head of School. Seeing you in classrooms, at football games, at Lata Living, at First Friday liturgy, at Casino Night, and at our pep rally has strengthened my belief that Immaculata is a great school. 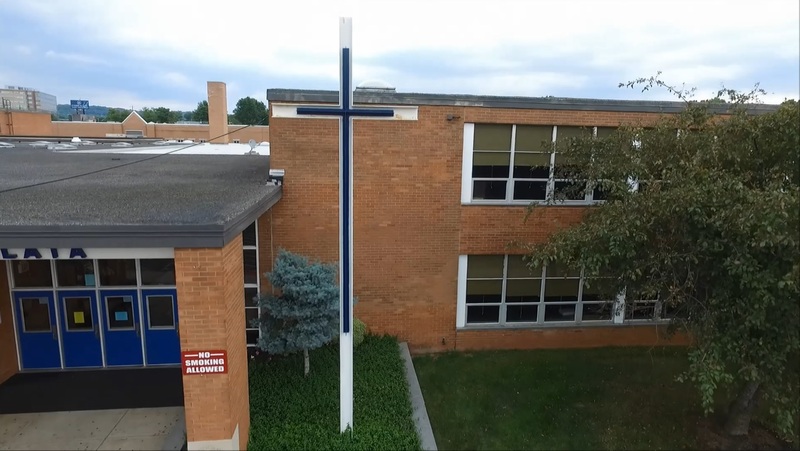 You truly demonstrate how this school embraces the four pillars of Faith, Scholarship, Service, and Friendship, both as students and adult alumni. I am a true believer in Catholic education. A product of a Catholic education, I have spent my whole career working in Catholic schools. My children are enrolled in the Immaculate Conception K-12 school system. I have always been very proud of the high academic standards that Catholic schools work hard to achieve. Educating its young people has always been at the heart of the Catholic Church’s mission. Inspired by the charism of the IHM Sisters and the faith-filled faculty and staff members, Immaculata provides day-to-day teaching and understanding of our faith, not only in our Theology classes, but throughout the curriculum. We pray and attend liturgies as a community. Through Campus Ministry we provide scores of service opportunities, so our students foster a lifetime of living their faith. We believe that with the values we encourage in our students that we help them grow in their understanding of themselves, their relationship with God and others. May God bless you and your families. I look forward to meeting many of you over the next year. This video was debuted at our Open Home. Learn more about our Christ-centered approach to the formation of the whole person, as well as our academic and co-curricular programs, such as Campus Ministry and Marian Scholars. We Stand Out By Standing For Something More!